Why settle for second best on your wedding day when you can have the BEST? And by best, we mean your dress. Adore Bridal is your #1 destination when looking for a gown to top all gowns. From A-line and mermaid to short and summery, we have the perfect look for you. As a bride, you know the wedding dress is one of the most important components of your big day. That’s why you should come to Adore, where since 2011, we have been the go-to choice for wedding gowns and accessories. Catering to brides throughout Central and Northwest Illinois, we connect you with a personalized stylist who can help you find the dress of your dreams. So, seek us out for the best wedding dresses Peoria IL brides can cherish for years to come. Just got engaged? Looking for the best fit for you? We want your big day to be memorable, which is why we pair you with a personal stylist to connect you with the perfect gown. We take many things into consideration, from your figure and style to the season and venue. Stocking a large variety of gowns with a variety of price tags, we know you will love our selection. Whether you’re looking for traditional styles in white or non-traditional styles with lace and floral patterns, your stylist will have dresses ready for you to try on when you walk in. Since our bridal gowns start at $1,000, we give you unparalleled access to the best designer names, private labels exclusive to Adore and designs straight off the runway. Plus, we have all the jewelry, shoes, veils and head pieces you need to top off the whole look. 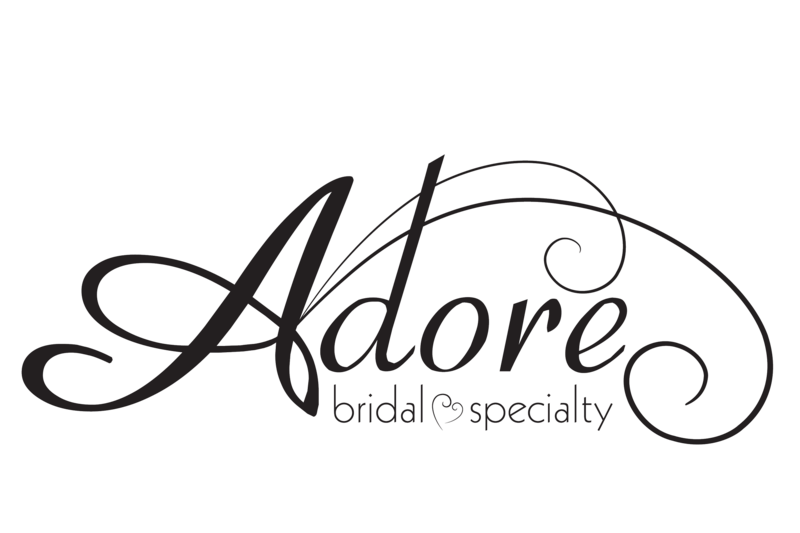 Adore Bridal is your destination when you’re on the hunt for the best wedding dresses in all of Peoria IL. Please give us a call at 309-291-0838 to book your appointment or stop in at 20 W. Jefferson St., Unit 12, in Morton, IL. Whether it's stalking our #adorerealbride's, checking out new arrivals, or joining in on some fun behind the scenes, the party is definitely over on insta!